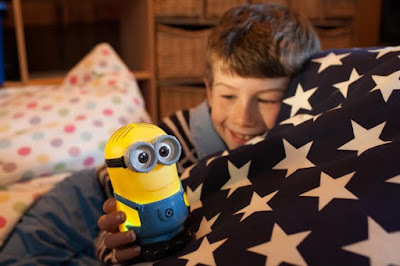 WIN #51: Peppa Pig or Minions Light from Spearmark's! From Minions to Peppa Pig and Teenage Mutant Ninja Turtles, there's a comfort light for every child! Fun and interactive - Spearmark's range of hand held comfort lights glow subtly through a range of different colours as soon as they're switched on. They're a must have for sleep overs and camping trips away when little ones might need some comfort while going to sleep. 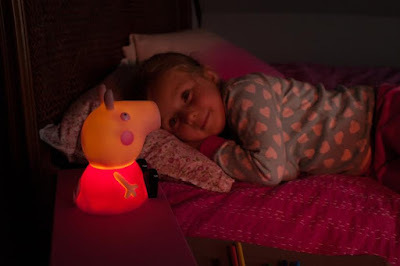 These cute lights stay cool to the touch, making them great for kids to carry around or station next to their bed to gently illuminate in the dark, while drifting off to sleep. So they'll be no more tears at bedtime! 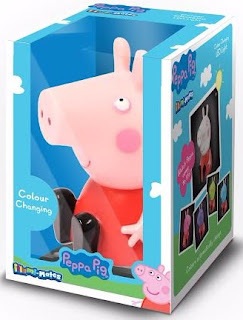 Battery operated* and easily portable, pop Peppa, a Minion or one (or even two!) of your child's favourite characters into their overnight bag - and they'll be delighted to discover a little comfort light to show their friends! • Colour changing light - watch these little characters glow from purple, to pink, to red, to green, to blue and then back to purple again. One very lucky reader or visitor of Unique Young Mum can win their very own character light! 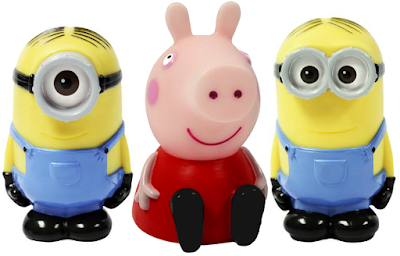 The winner can choose what light they'd like out of Peppa Pig, Minion Dave or Minion Stuart! Please note: You must at least follow/like both Unique Young Mum and Spearmark on at least one social media platform! To find out more about Spearmark and to view their full range of products, check out the official website here.